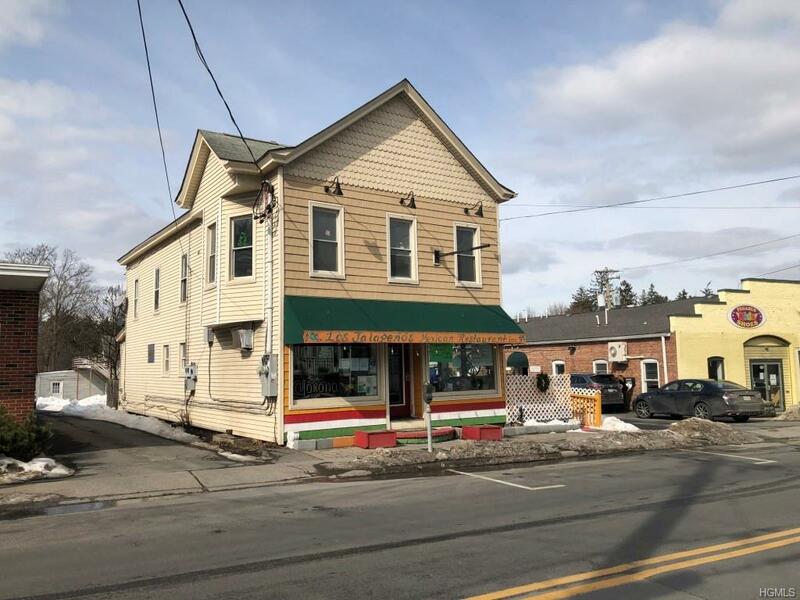 New Paltz Village: Commercial Opportunity doesnt always knock on your door in New Paltz so be sure to jump on this one. 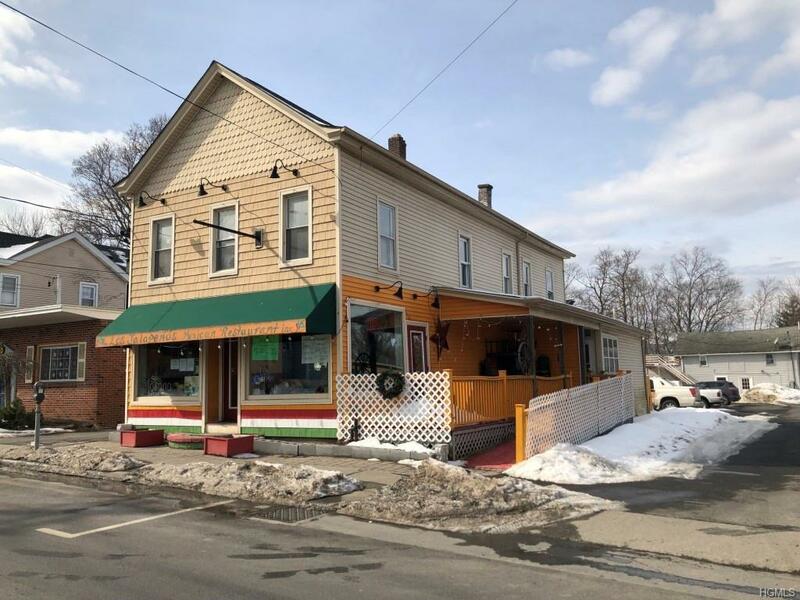 Currently leased to restaurant with 2nd floor 5 bedroom apartment that was recently updated, a separate barn with walk up 1 bedroom and lots of storage space on ground level. Located in a high traffic area with traffic light and good visibility. Its an investment that you want to help build your real estate portfolio. 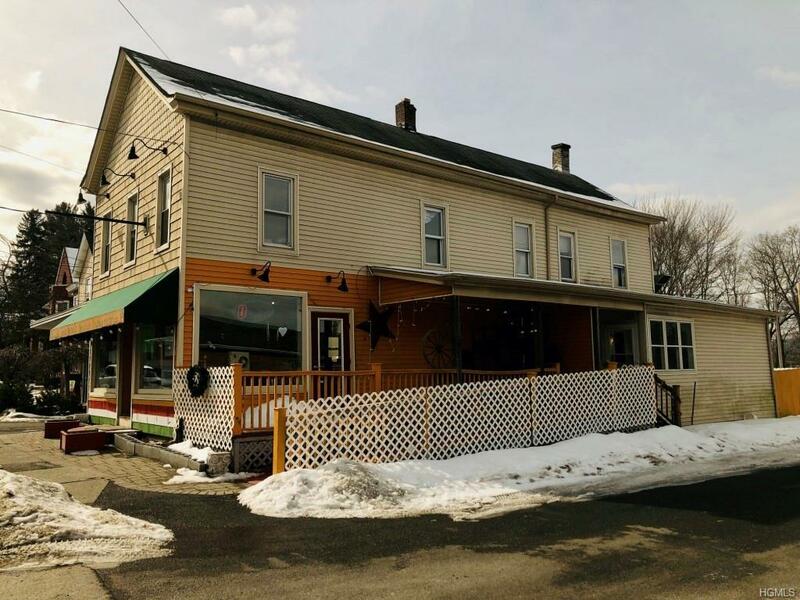 Restaurant has one year left on lease and the other two units are up this year. 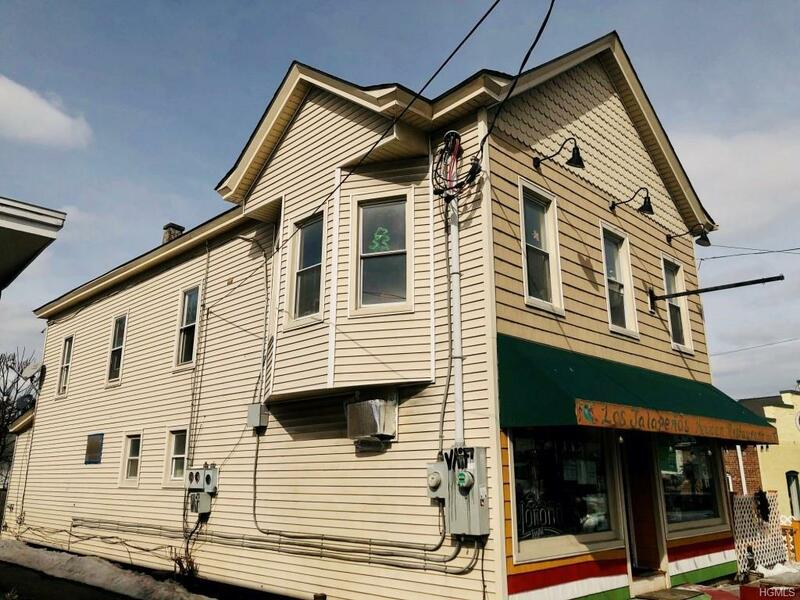 With full occupancy the upstairs apartments rent for the year is $38,100. The restaurants rent for the year is $25,056. The apartment over the barn rent is $10,920 per year. Listing courtesy of Teresa C Shand of Colucci Shand Realty.